That birthday thing is inevitable isn’t it? Well one way to look at birthdays is a chance to try a new homemade cake recipe. This year I elicited my daughter and her friend, that loves to bake and made these amazing Cinnamon Rolls a few months ago, to make my birthday cake this year. 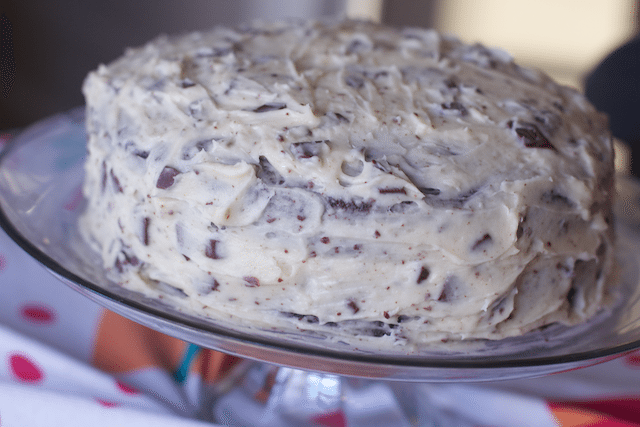 The birthday cake of choice was a Rich Chocolate Cake Recipe with Chocolate Chip Frosting Recipe. We actually added mint to the recipe but I think this without the mint is a much better choice. The cake is adapted from Hershey’s Ultimate chocolate cake recipe, which is the only chocolate cake recipe I think you need. 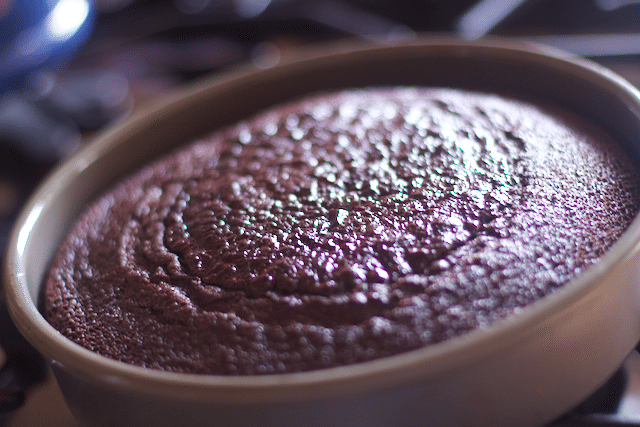 Using a dark cocoa or dutch processed cocoa is the key to create a dark and rich flavored chocolate cake base. 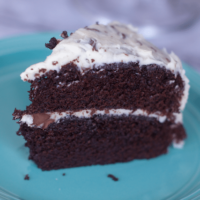 Frosting can be the favorite part of any cake, but this time it was just a nice compliment to a rich chocolate cake. 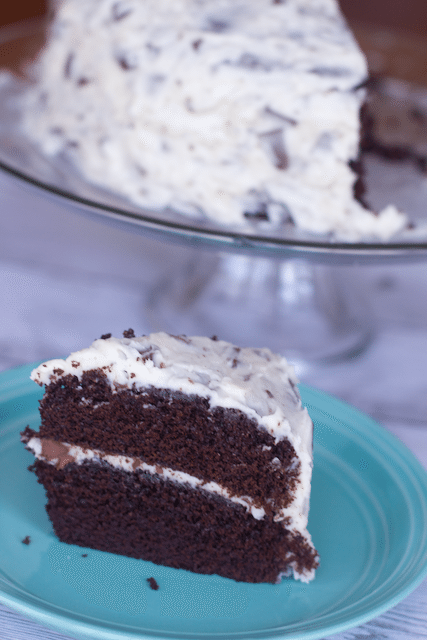 If you like chocolate chip ice cream than you will adore this Chocolate chip Frosting recipe. 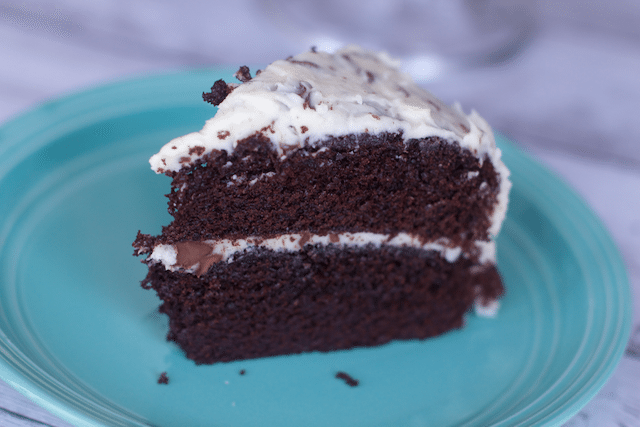 As I mentioned above, you can add mint flavoring but I think it would be overkill for this rich chocolate cake. Doesn’t this look like a bowl of chocolate chip ice cream in the shape of a cake? The frosting held up so nicely too. The cake was made and frosted on a Friday and we enjoyed it thru Monday. There was no loss of moisture and the flavors just got better each day. So this year cut yourself another slice of cake and my kids topped it off with a big scoop of vanilla ice cream, not that you need it. It’s a birthday cake so why not enjoy an extra scoop!
. Heat oven to 350°F. Grease and flour two 9-inch round baking pans. 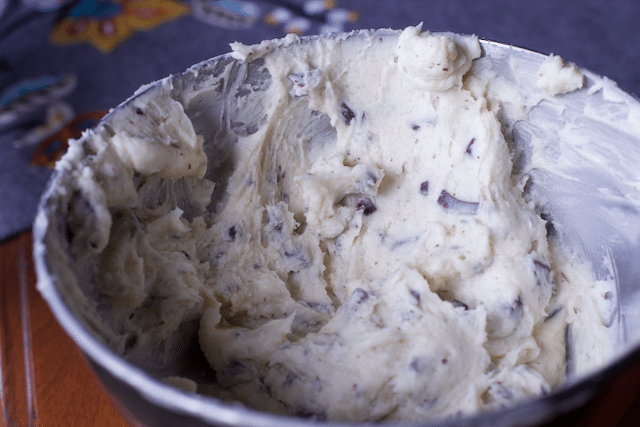 Prepare frosting: In the bowl of a mixer, beat butter, cream, and vanilla on medium speed until smooth. With mixer speed on low, slowly add powdered sugar and mix until just combined. Beat until frosting is light, smooth, and fluffy. If frosting is too thick, add another Tablespoon or two of cream and beat for 30 more seconds. Add chopped chocolate and mix on low mixed well. Frost layered cake. A deeply chocolatey cake is always a good thing. 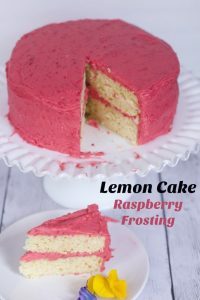 The frosting sounds just lovely and it’s great this cake lasts for a good few days – little and often to spread out the joy of eating such cake. 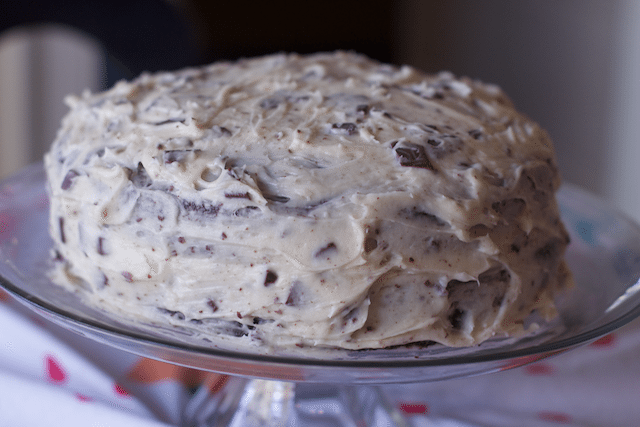 This cake looks mega good, with the chocolate chip in the frosting OH YEAH. Totally my kind of cake. 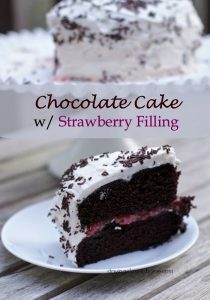 I love chocolate cakes made with cocoa powder! They are so rich and decadent! Love the chocolate chip frosting too! What a new touch! 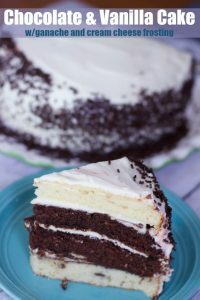 I love the Hershey’s ultimate chocolate cake recipe! It’s so good and super easy. 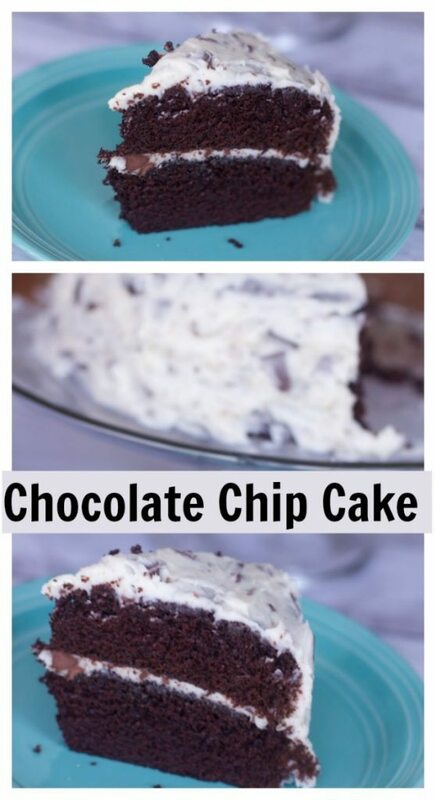 And I thought the frosting was chocolate chip cookie dough so that’s amazing! I can’t imagine a better combo. Oh yum! The more chocolate, the better. This cake looks fab! Who wouldn’t love chocolate with chocolate. This is a chocolate lovers dream. Perfect dessert or even for a special occasion cake.